…Puddle hadn’t seen a single snowflake yet. Just let it snow, he wistfully pleaded to the sky. There had to be snow! Just as the storm was beginning, I took this picture of our patio. When I looked at the weather radar online, a huge, blue mass with a swirly wind circle was heading our way. And did we ever get snow! One winter morning Peter woke up and looked out the window. Snow had fallen during the night. It covered everything as far as he could see. Our driveway had a huge four foot tall drift crossing it. Lily decided to build a tunnel. “It’s warmer inside!” she discovered. In order to be able to get our cars out of our garage, Ed had a daunting task ahead of him. It took Ed all morning — about five hours — to shovel that driveway. I helped him a little but mostly I played with Lily and Emmy and brought Ed water and food. His mustache and beard were frosty and his brown hat turned white, but he was loving every minute of it. Until he came inside and realized how sore he was, that is. 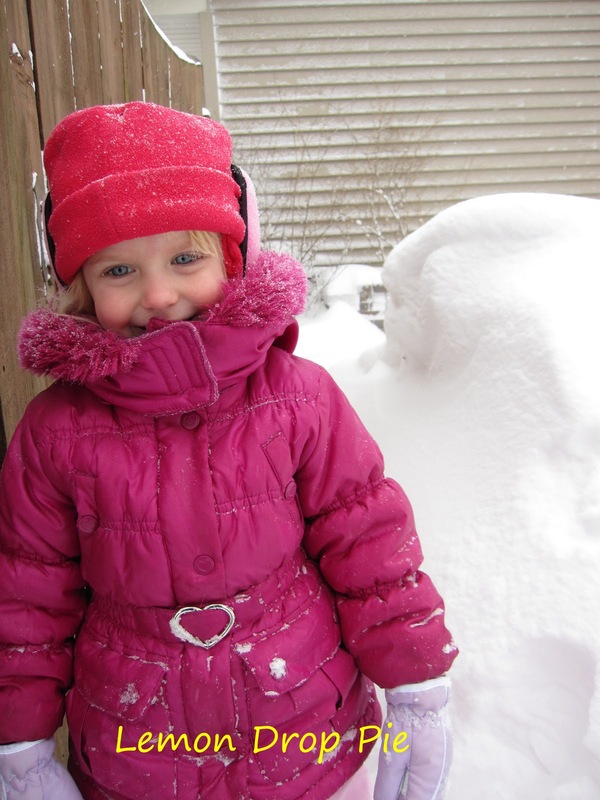 Emmy, standing by a drift next to our neighbor’s fence. Waves of snow in front of our neighbor’s house. Now that the snow is over, it’s cold. and it was 50 below zero that night. ← Valentine’s Day is When? Love the photos (though I'm glad I didn't have to take them) and how you worked in the quotes with them. That is a LOT of snow!! 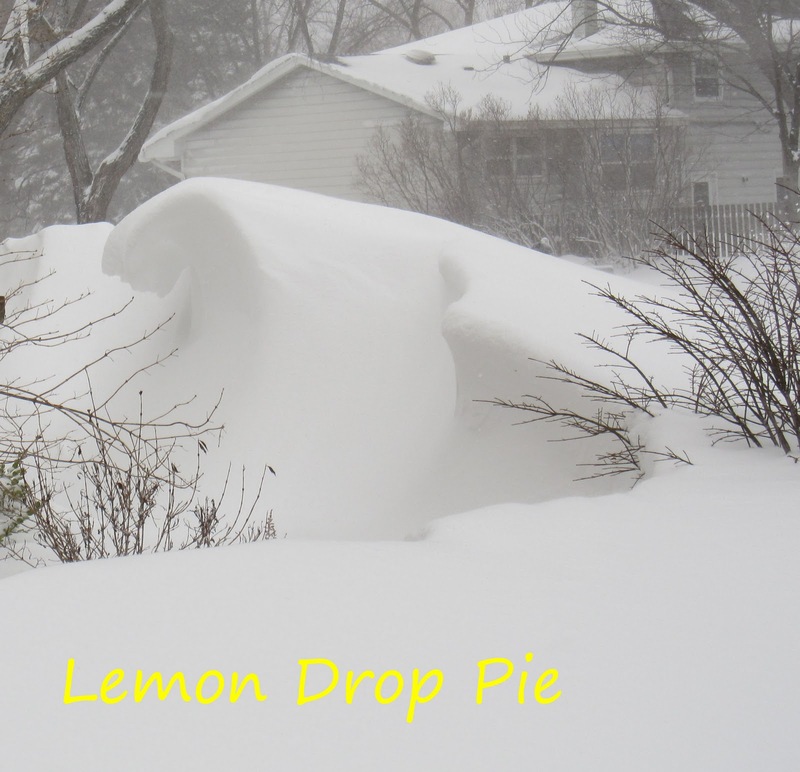 Your pictures sure look beautiful, but I know that it isn't fun at all to deal with the aftermath of a blizzard! Love the quotations. Our snow situation is similar, but I manage to make playing the Wii more appealing than spending 20 minutes getting the boys into snow clothes only to be wet and freezing. I know, I'm bad. I enjoyed your photos, though! Wow, a lot of snow! 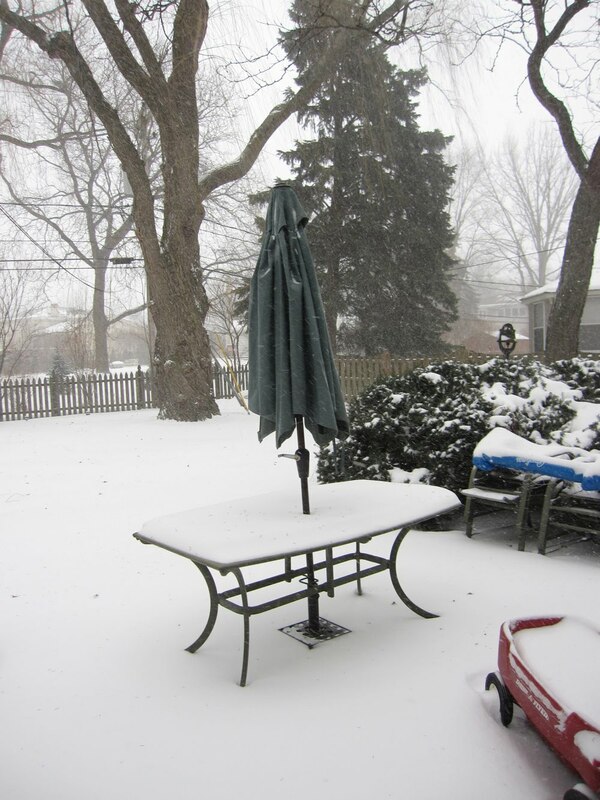 What a difference in the patio pictures. Stay warm & cozy. 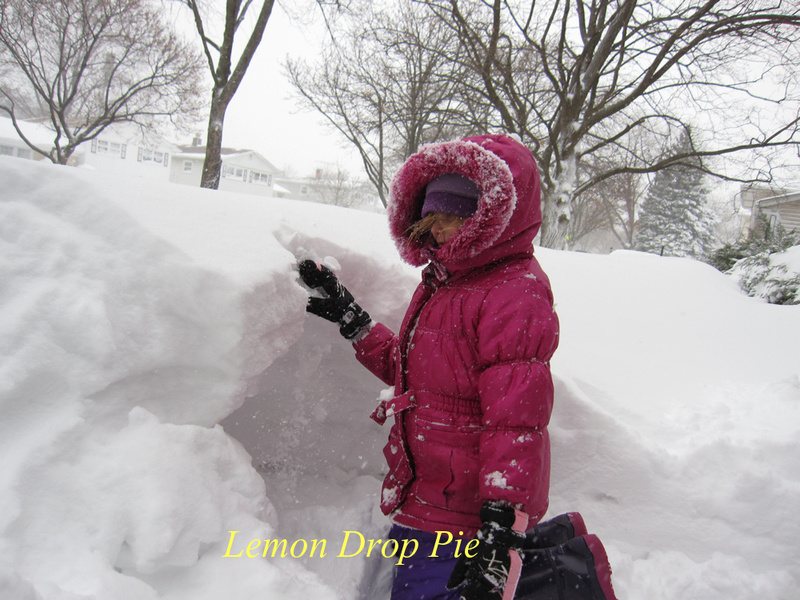 Wow, your snow beats ours any day! 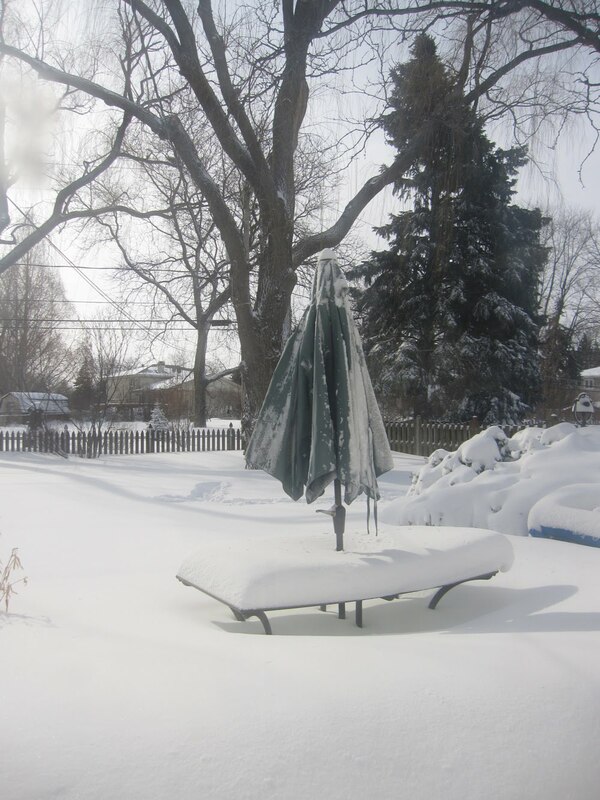 We got about a foot and the entire city shut down…schools were closed for 4 days! 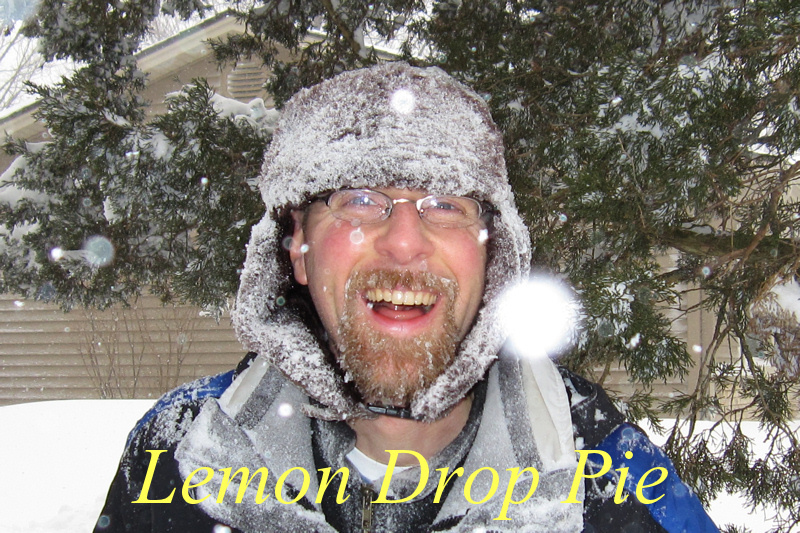 I love the different books you quoted…my son adores The Snowy Day! I love that second photo. For some reason it's quite eerie. Love the pictures. I wish we'd gotten some of that snow. It just rained a lot here. Yuck. Goodness, that's a lot of snow!